Connective tissue, fascia and lymphatic fluid combine to one holistic network in the body. Being the most comprehensive organ in the human body it has been neglected to a large extent so far. SophiaMatrix Technique is a manual (that means only by using hands and no instruments) deep treatment of the connective tissue, fascia and lymphatic flow of the whole body. In November 2013 Dr. Klinghardt saw Ariane Zappe treating a patient and asked her to integrate SophiaMatrix in his methods and teach this technique to therapists. A deep, manual, no-instruments treatment of connective tissue, fascia and lymph has become the somatic part of detoxification, drainiage, treatment of chronic infections and psycho-emotional traumas. 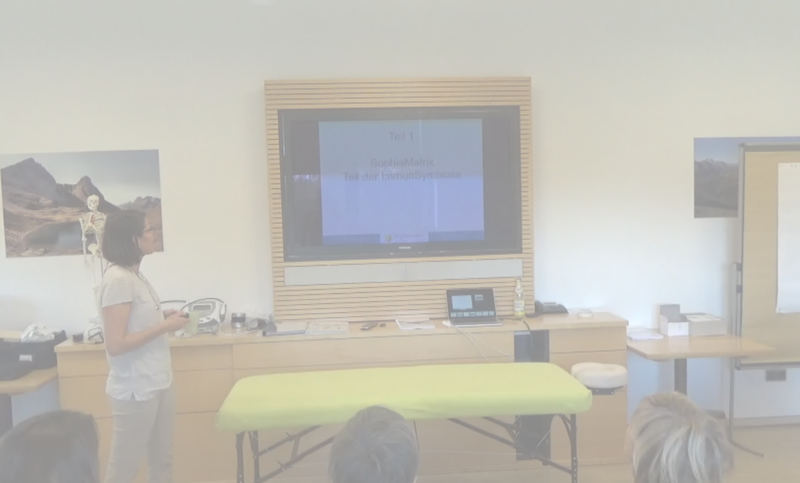 In July 2017 Ariane Zappe travelled to Seattle to teach SophiaMatrix to the therapists at Sophia Health Institute Seattle. With a kind of 3-dimensional health every cell can reach an optimal level of supply, detoxification and evolution. Thus we achieve more freedom on all levels – physically, energetically, emotionally and mentally. The deep, manual methods of SophiaMatrix® Technique by Ariane Zappe complements Dr. Klinghardt’s methods since early 2014. Through the application the extracellular matrix can restructure itself and adhesions and blockages can resolve. This deep, manual massage is an essential therapeutic step, because most toxins and infections, as well as emotional traumas are accumulated in the connective and fascial tissue. 99% of all toxines and microbes are accumulated in the connective tissue. 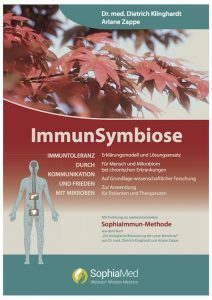 By means of SophiaMatrix we can mobilize these toxines and microbes, as well as memorized psychological traumas. Although the term fascia is not standardized, most articles refer to condensed and tightly structured connective tissue like ligaments, tendons, aponeurosis, wrapping of muscles, joints, organs, as well as inner lining of visceral cavities, like the peritoneum. Connective tissue and fascia create the basic structure for an optimal lymphatic fluid flow. 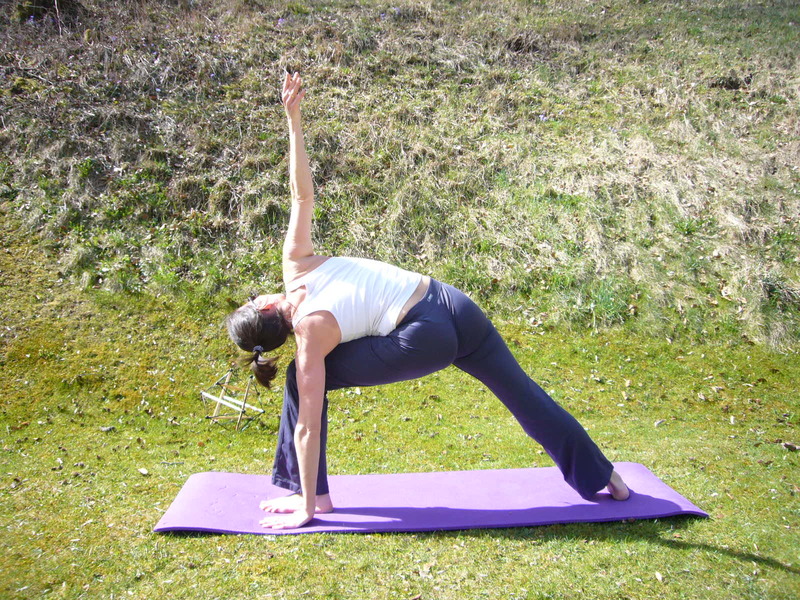 With SophiaMatrix we aim to reorganize this basic structure and thus improve lymph flow throughout the body. Fascia research now realizes, that connective tissue is not just a filler medium in our body, but ONE organ, a holistic network, similiar to the nervous system or cardiovascular system with its own intelligence and conciousness. 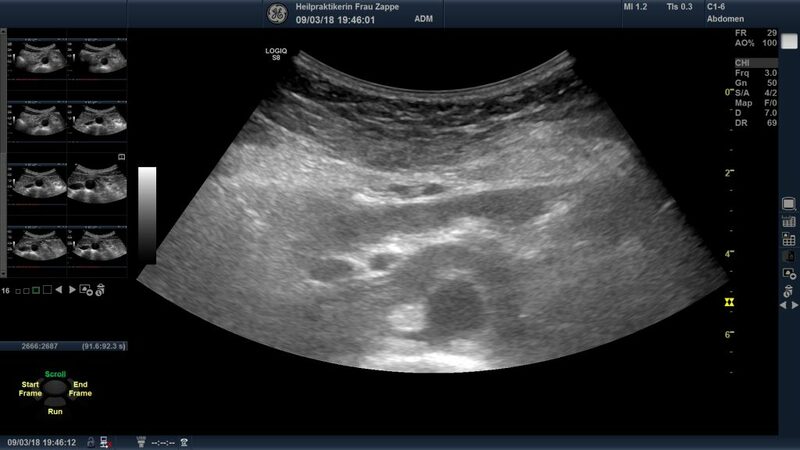 Connective tissue can transfer mechanical impulses und distributes the load of manual interventions throughout the whole system. Within 20 minutes connective tissue will restructure and thus react compensationally to any change in posture and any influence from the inside or outside. 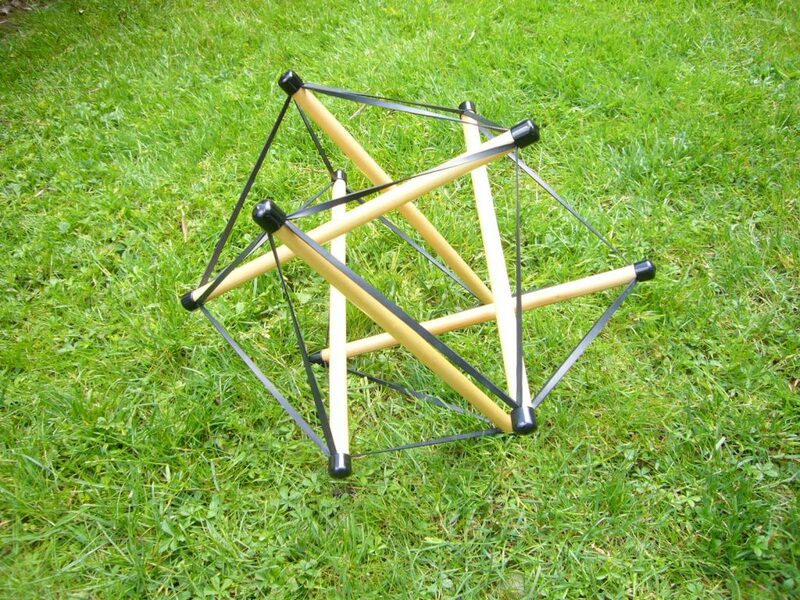 The tensegrity model has been introduced to anatomy – a combination of modules that compensate compression, like our bones, and links, that transfer tension like our connective tissue. Any strain will be distributed throughout the whole system instantly. Attendant treatment with ART Autonomic Response Testing is very important to support the process of detoxification and recovery from chronic infections. A dietary change and physical exercise are part of the treatment as well. Emotional and mental traumas, that have responded to the manual treatment with SophiaMatrix are being given attention by accompanying trauma therapies like Psycho-Kinesiology or Mental Field Therapy by Dietrich Klinghardt, MD, PhD. Fascia connects the whole body and forms different myofascial meridians, first described by Tom Myers. They provide stabilitiy and elasticity. Shortening of one part of a myofascial meridian shortened by a scar or a tight muscle leads to changes within the whole body structure. Connective tissue respectively fascia do contract, e.g. with acidity, infection, inflammation, toxins, scars or unresolved psycho-emotionals conflicts. Contractile forces can become huge and defy control of the somatic and autonomic nervous system. Tight and adhered connective tissue means less detoxification and less provision of nutrients for the cells. Every cell’s health depends on its embedment in the 3-dimensional healthy structure around it. This cell will then be well able to differenciate and function properly. 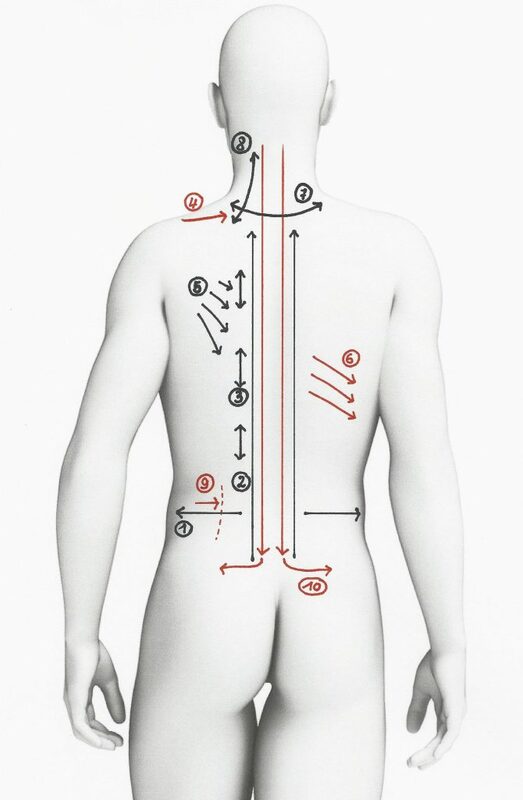 The SophiaMatrix therapist considers and includes these myofascial meridians during his treatment and can thus help to improve posture, structure and associated symtoms. A balance between stability and tension on one side and elasticity and myofascial freedom on the other side is his intention. The lymph establishes the link between the smallest blood vessels – the capillaries – and the cells. Via the lymph every cell is provided with nutrients, oxygen, hormones and other substances. At the same time every cell can detoxify acid, toxins and infections and send out its metabolic endproducts only with the help of the lymphatic fluid. Nutrients, immunological substances, hormones, oxygen and more, that has been ordered by the cell, will be transportet by the lymphatic fluid through the connective tissue from the capillaries to the cell. Additionally the connective tissue serves as a buffer zone for any kind of stress like excessive nutrition, excessive animal protein, toxins and infection leaving the vascular system and provides detoxification and draininge by the use of the lymphatic system. Our health is significantly depending on the status of the connective tissue, fascia and lymphatic flow – and it is that three-dimensional health, that we try to affect positively with SophiaMatrix. Attendantly it is of enormous importance to test with ART, how we can support the release of toxins and treat infection. Additionally a balanced ph-level and change in diet will be part of the protocol. We start working deep in the abdomen. Behind the gut as the central organ – within its lymphatic drainage area – we find first a lymphatic stagnation. Dr. Weiss cultivated the concept of the radixemdema back in 1988 being the central lymphatic stagnation in the dorsal abdomen, which starts to displace the gut. 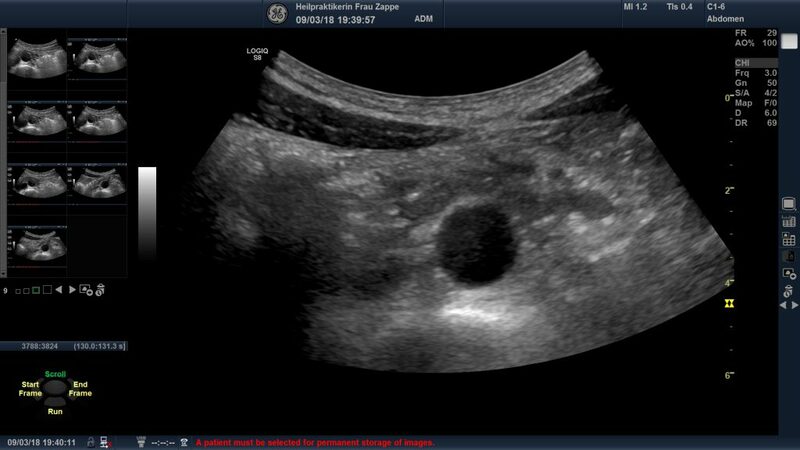 We find a radixedema with 9 out of 10 patients. Fascial strands proceeding through this stagnated lumbar region become hyoxic and start to contract. 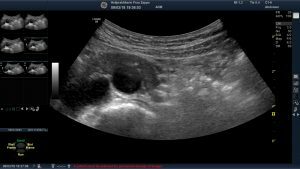 We find most disk prolapses and back pain right in this area. Releasing the radixedema in the dorsal abdomen often provides relief for the back. Scars of the abdomen deteriorate the lymphatic flow additionally … adhesions after appendectomy, cesarean section, hysterectomy, hernia surgery, umbilical hernia or adhesions, piercings must be treated. With women the stagnation bilds up deep in the pelvis, blocking the lymphatic drainage from the legs. Saddle-block, varicose veins, ancle edema, hip or knee joint problems can occur. Treating with SophiaMatrix means considering the myofascial meridians and thus enabling the connective tissue to restructure. The central stagnation in the abdomen also influences cranial organs, the diaphragma and the chest. Difficulties in breathing or functional heart disorders can be a consequence. Lifting of the rib cage will lead to muscle and fascial contraction in the neck to support the new posture. Strain hardening of the fascial tissue of the neck will disturb lymphatic drainage of the head. Consequently the intracranial pressure can increase with less detoxification of toxins of the brain, headache, migraine, Tinnitus or neurological symptoms. Restructuring adhesions and strain hardening along the myofascial meridians bring relief and can improve those symptoms. Depending on the severity of the symptoms we recommend 2 to 3 treatments within 2 to 4 weeks. 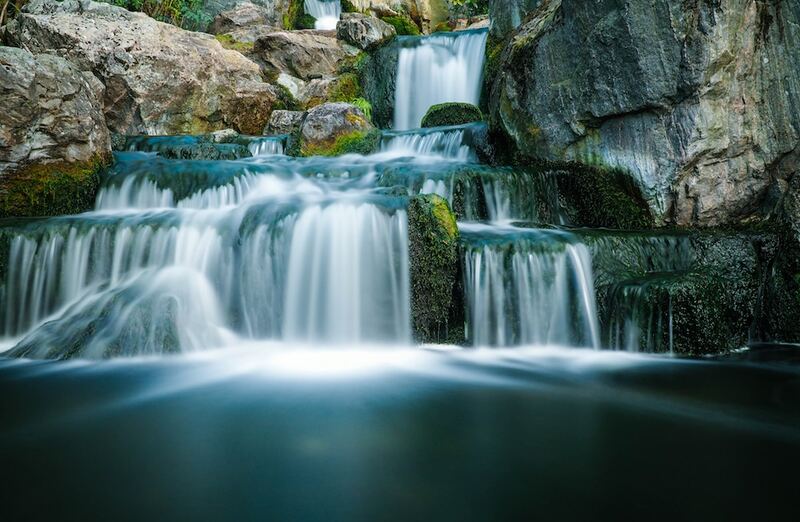 The ymphatic fluid flow and structure of the connective tissue will improve and the body’s own regulation system will have the chance to continue the healing process by itself. Severe, longterm symptoms might demand more treatments. 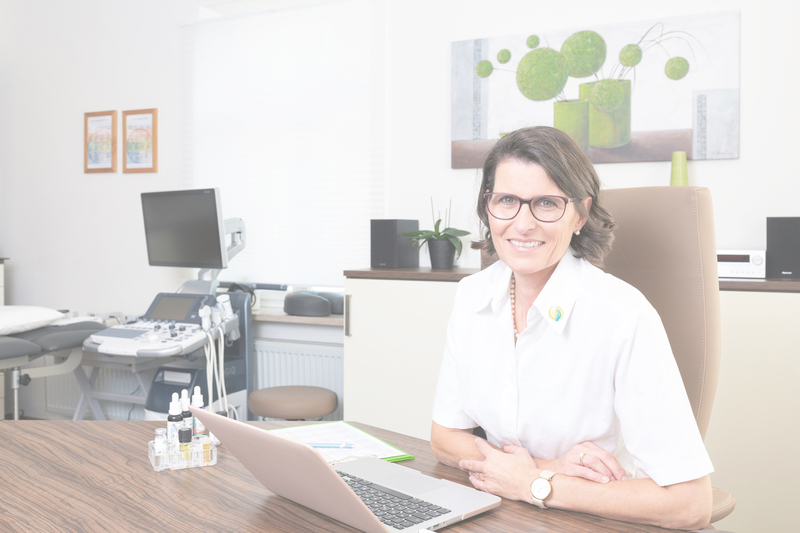 At SophiaHealth in Kaufbeuren we constantly continue to research and refine the technique and of course provide SophiaMatrix treatment to our patients. 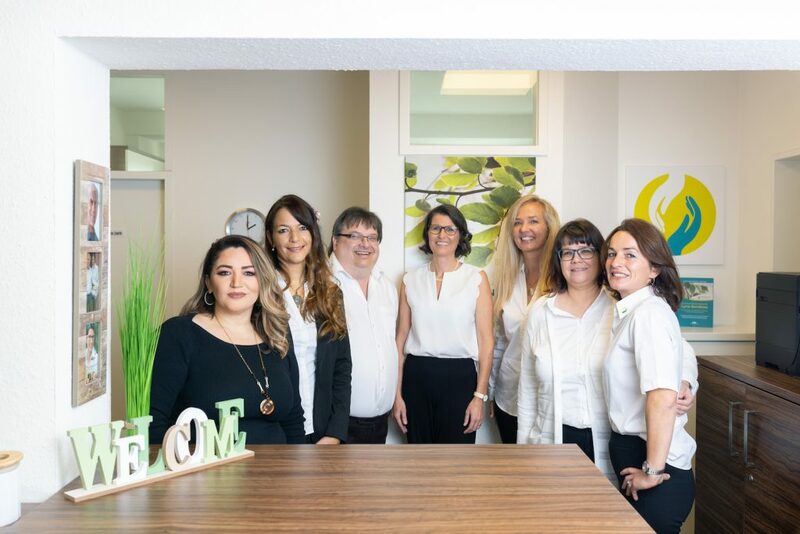 We are a dedicated team of several SophiaMatrix therapists. 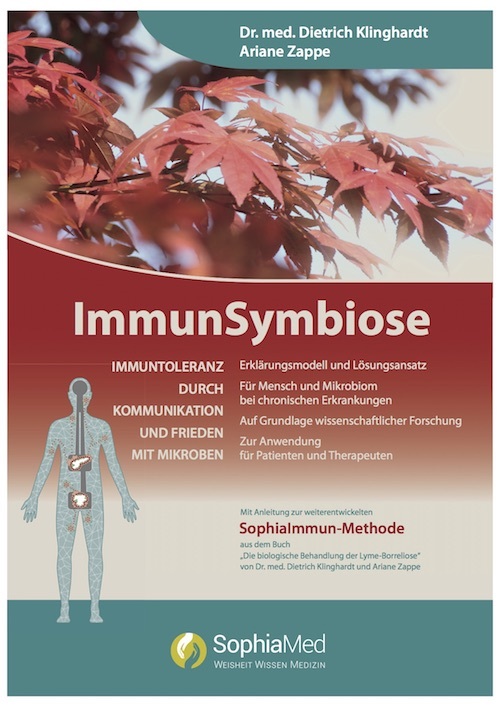 ImmunSymbiosis is part of the training for SophiaMatrix therapist. We are absolutely aware, that we not only treat the human organism with all its aspects, but at the same time – and with equal importance – microbes within. SophiaMatrix, as any other treatment should be as well, is set to treat both and restore symbiosis between human and microbial organism. Almost 200 SophiaMatrix therapists have been trained so far by Ariane Zappe. Please find some of them listed on this website. Regular seminars are held by Ariane Zappe to train new SophiaMatrix therapists. No special qualifications are required to participate. Date and location of the next SophiaMatrix seminars and update courses are published regularly. Dear Ariane, I wanted to thank you for the excellent treatment and aftercare. In fact, nothing worked nearly as well as this treatment. Dear Ariane, thank you very much for your detailed thoughts ... Many greetings and thanks again for ALL YOU DO! It is always great with you in Kaufbeuren! SophiaMatrix is the completion of my methods, that for 15 years I was searching for. This technique reconnects our energetic treatments with the physical body.